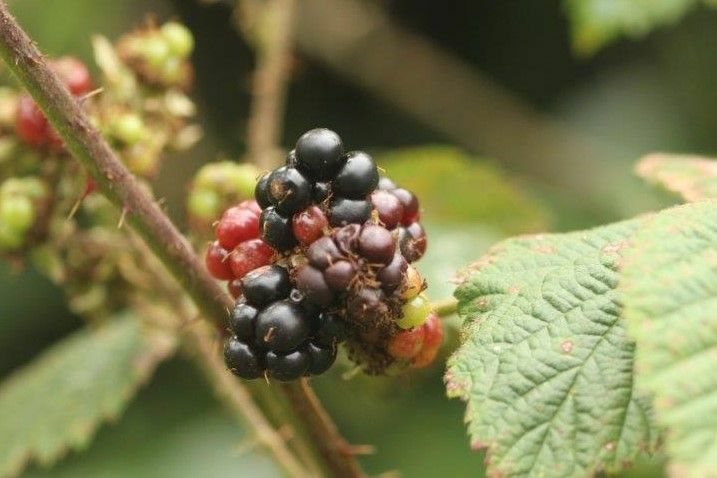 Amazingly there are over 300 species of the wild Bramble in the UK! This is one that has larger, juicier berries and the fruit ripens a good 4 to 6 weeks earlier than the ordinary blackberries in my hedges. 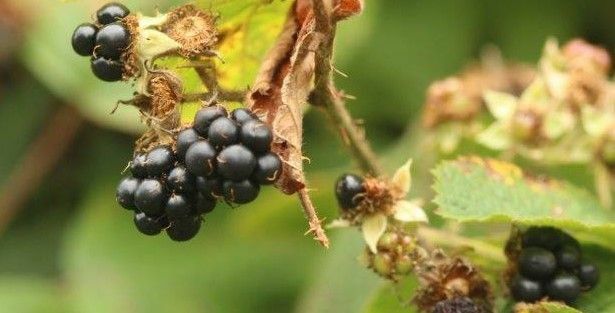 (so even in a poor summer we get Dewberries in August). They have a good blackberry flavour when cooked. 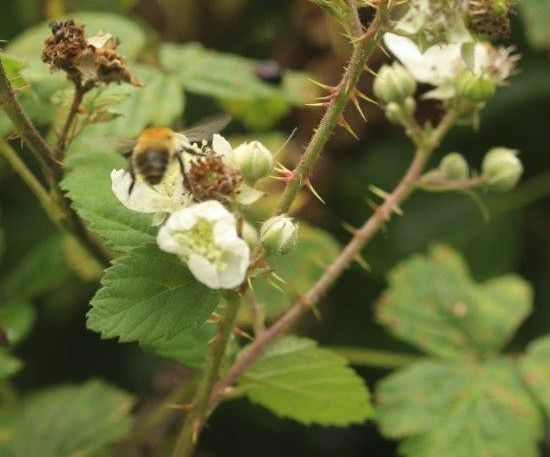 The flowers and fruit are loved by bees and butterflies.